Move in ready. Roof one year old. HVAC serviced regularly. Home warranty included at list price. Fenced in back yard with wooded view. Great central location close to shopping, entertainment and dining. Philippe Park, TIA and Lake Tarpon within a reasonable distance. Laundry area in kitchen. Spacious living room. Perfect affordable starter home. Not many Carrollwood townhomes at this price. This low, annualized HOA location is ready for a new owner. A little personalized TLC is all that is needed. Sold "as is" for seller convenience. Buyer to confirm all measurements. Residential and commercial Florida real estate. Strong emphasis on verifiable customer service. 15 years experience. Both new home and foreclosure experience actively listing and selling properties with the general public, investors and asset management companies. HUD Local Listing Broker through Ofori Reo, Fannie Mae Master Listing Agreements through Chrisley Asset Management and RMS Asset Management, as well as, listing and selling properties for SunTrust Mortgage, LRES, NPR Asset Management, Kondaur Capital Corporation, Standard Asset, Meridian Asset Services, ABREO, Bayview Loan Servicing, HomeBanc Mortgage, RMS Asset Management, Single Source, Nationwide Servicing, and Prospect Mortgage. Equator Platinum, Short Sale and REO certified, REO BOSS certified. 3,000+ BPOs completed. Our family has been Real Estate professionals for over 40 years in the Tampa Bay area. 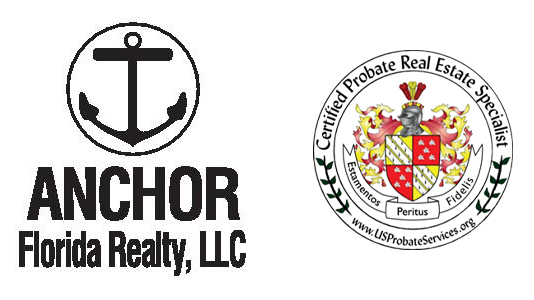 Anchor Florida Realty has a complete understanding of NEW HOME, REO and SHORT SALE transaction management.